1 x ABDL Pride polyester table flag with chrome pin and base. 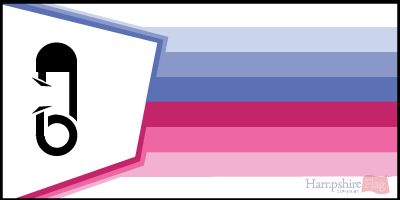 1 x ABDL Pride 15cm x 7.5cm flag sticker for internal or external use. 10 x ABDL Pride Paper hand waving flags 21x12cm with stick. 5' x 3' ABDL Pride lightweight polyester novelty flag with brass eyelets. 1 x Aberdeen City polyester table flag with chrome pin and base. 1 x Aberdeen City 15cm x 7.5cm flag sticker for internal or external use. 10 x Aberdeen City Paper hand waving flags 21x12cm with stick. 5' x 3' Aberdeen City lightweight polyester novelty flag with brass eyelets. 1 x Abkhazia National polyester table flag with chrome pin and base. 1 x Abkhazia National 15cm x 7.5cm flag sticker for internal or external use. 10 x Abkhazia National Paper hand waving flags 21x12cm with stick. 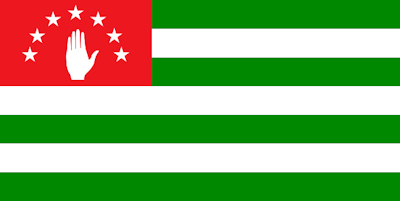 5' x 3' Abkhazia National lightweight polyester novelty flag with brass eyelets. 1 x Aboriginal polyester table flag with chrome pin and base. 1 x Aboriginal 15cm x 7.5cm flag sticker for internal or external use. 10 x Aboriginal Paper hand waving flags 21x12cm with stick. 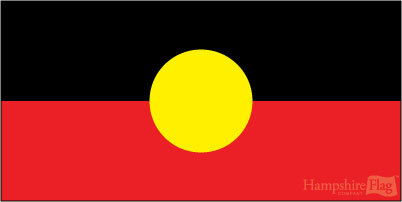 5' x 3' Aboriginal lightweight polyester novelty flag with brass eyelets. 1 x Abu Dhabi National - UAE polyester table flag with chrome pin and base. 1 x Abu Dhabi National - UAE 15cm x 7.5cm flag sticker for internal or external use. 10 x Abu Dhabi National - UAE Paper hand waving flags 21x12cm with stick. 5' x 3' Abu Dhabi National - UAE lightweight polyester novelty flag with brass eyelets. 1 x Adjutent General Corps polyester table flag with chrome pin and base. 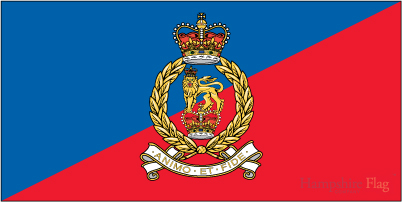 1 x Adjutent General Corps 15cm x 7.5cm flag sticker for internal or external use. 10 x Adjutent General Corps Paper hand waving flags 21x12cm with stick. 5' x 3' Adjutent General Corps lightweight polyester novelty flag with brass eyelets. 1 x Admiralty Board polyester table flag with chrome pin and base. 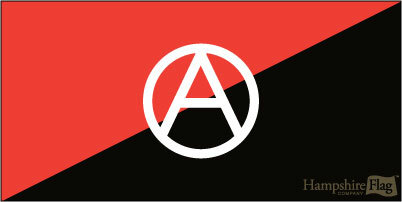 1 x Admiralty Board 15cm x 7.5cm flag sticker for internal or external use. 10 x Admiralty Board Paper hand waving flags 21x12cm with stick. 5' x 3' Admiralty Board lightweight polyester novelty flag with brass eyelets. 1 x Afghanistan National polyester table flag with chrome pin and base. 1 x Afghanistan National 15cm x 7.5cm flag sticker for internal or external use. 10 x Afghanistan National Paper hand waving flags 21x12cm with stick. 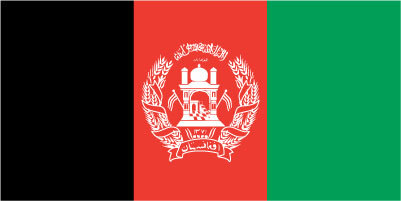 5' x 3' Afghanistan National lightweight polyester novelty flag with brass eyelets. 1 x Air Training Corp polyester table flag with chrome pin and base. 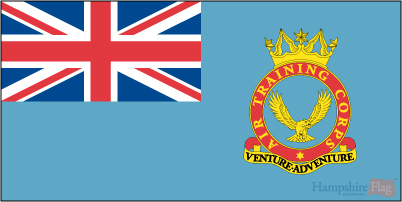 1 x Air Training Corp 15cm x 7.5cm flag sticker for internal or external use. 10 x Air Training Corp Paper hand waving flags 21x12cm with stick. 5' x 3' Air Training Corp lightweight polyester novelty flag with brass eyelets. 1 x Airborne Forces polyester table flag with chrome pin and base. 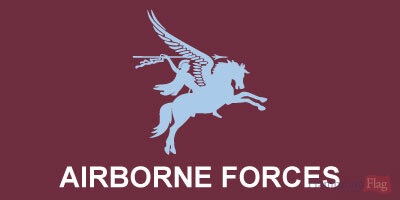 1 x Airborne Forces 15cm x 7.5cm flag sticker for internal or external use. 10 x Airborne Forces Paper hand waving flags 21x12cm with stick. 5' x 3' Airborne Forces lightweight polyester novelty flag with brass eyelets. 1 x Ajman - UAE National polyester table flag with chrome pin and base. 1 x Ajman - UAE National 15cm x 7.5cm flag sticker for internal or external use. 10 x Ajman - UAE National Paper hand waving flags 21x12cm with stick. 5' x 3' Ajman - UAE National lightweight polyester novelty flag with brass eyelets. 1 x Alabama State (AL) polyester table flag with chrome pin and base. 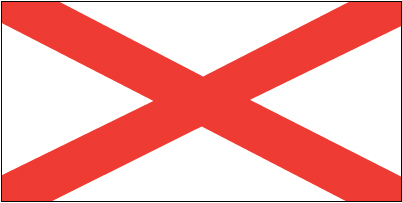 1 x Alabama State (AL) 15cm x 7.5cm flag sticker for internal or external use. 10 x Alabama State (AL) Paper hand waving flags 21x12cm with stick. 5' x 3' Alabama State (AL) lightweight polyester novelty flag with brass eyelets. 1 x Aland Islands polyester table flag with chrome pin and base. 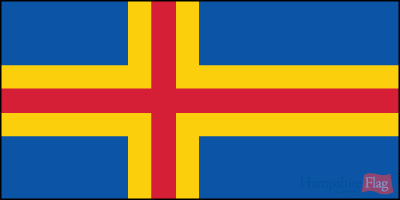 1 x Aland Islands 15cm x 7.5cm flag sticker for internal or external use. 10 x Aland Islands Paper hand waving flags 21x12cm with stick. 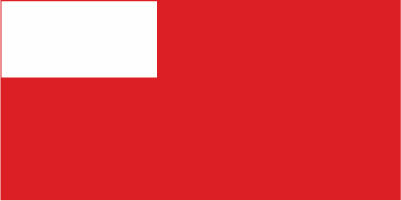 5' x 3' Aland Islands lightweight polyester novelty flag with brass eyelets. 1 x Alaska State (AK) polyester table flag with chrome pin and base. 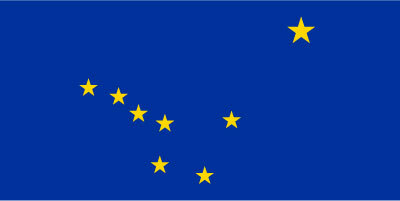 1 x Alaska State (AK) 15cm x 7.5cm flag sticker for internal or external use. 10 x Alaska State (AK) Paper hand waving flags 21x12cm with stick. 5' x 3' Alaska State (AK) lightweight polyester novelty flag with brass eyelets. 1 x Albania National polyester table flag with chrome pin and base. 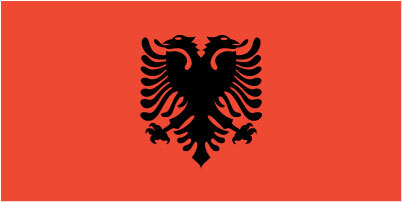 1 x Albania National 15cm x 7.5cm flag sticker for internal or external use. 10 x Albania National Paper hand waving flags 21x12cm with stick. 5' x 3' Albania National lightweight polyester novelty flag with brass eyelets. 1 x Alberta polyester table flag with chrome pin and base. 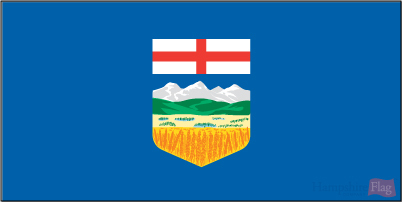 1 x Alberta 15cm x 7.5cm flag sticker for internal or external use. 10 x Alberta Paper hand waving flags 21x12cm with stick. 5' x 3' Alberta lightweight polyester novelty flag with brass eyelets. 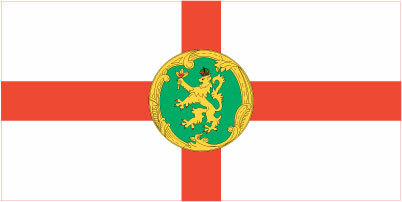 1 x Alderney National polyester table flag with chrome pin and base. 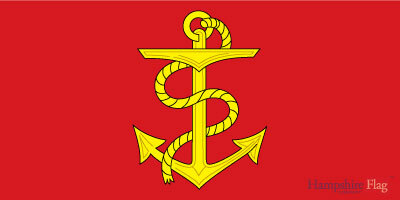 1 x Alderney National 15cm x 7.5cm flag sticker for internal or external use. 10 x Alderney National Paper hand waving flags 21x12cm with stick. 5' x 3' Alderney National lightweight polyester novelty flag with brass eyelets. 1 x Algeria National polyester table flag with chrome pin and base. 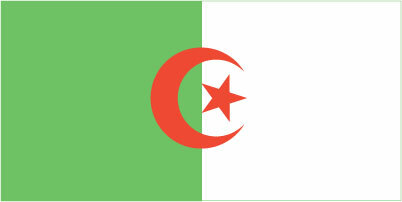 1 x Algeria National 15cm x 7.5cm flag sticker for internal or external use. 10 x Algeria National Paper hand waving flags 21x12cm with stick. 5' x 3' Algeria National lightweight polyester novelty flag with brass eyelets. 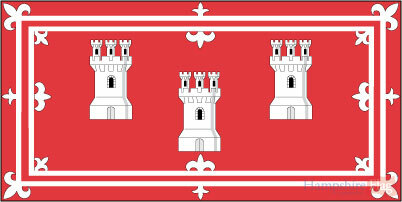 1 x Alsace polyester table flag with chrome pin and base. 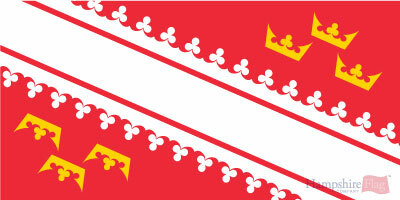 1 x Alsace 15cm x 7.5cm flag sticker for internal or external use. 10 x Alsace Paper hand waving flags 21x12cm with stick. 5' x 3' Alsace lightweight polyester novelty flag with brass eyelets. 1 x America (U.S.A.) polyester table flag with chrome pin and base. 1 x America (U.S.A.) 15cm x 7.5cm flag sticker for internal or external use. 10 x America (U.S.A.) Paper hand waving flags 21x12cm with stick. 5' x 3' America (U.S.A.) lightweight polyester novelty flag with brass eyelets. 1 x Anachist polyester table flag with chrome pin and base. 1 x Anachist 15cm x 7.5cm flag sticker for internal or external use. 10 x Anachist Paper hand waving flags 21x12cm with stick. 5' x 3' Anachist lightweight polyester novelty flag with brass eyelets. 1 x Andorra National polyester table flag with chrome pin and base. 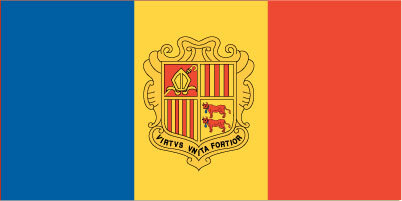 1 x Andorra National 15cm x 7.5cm flag sticker for internal or external use. 10 x Andorra National Paper hand waving flags 21x12cm with stick. 5' x 3' Andorra National lightweight polyester novelty flag with brass eyelets. 1 x Anglesey polyester table flag with chrome pin and base. 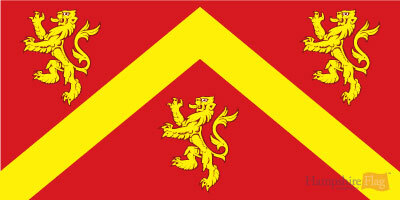 1 x Anglesey 15cm x 7.5cm flag sticker for internal or external use. 10 x Anglesey Paper hand waving flags 21x12cm with stick. 5' x 3' Anglesey lightweight polyester novelty flag with brass eyelets. 1 x Angola National polyester table flag with chrome pin and base. 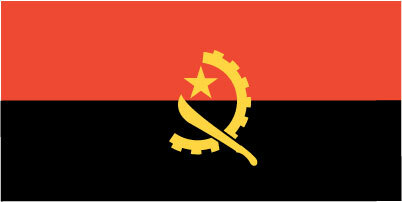 1 x Angola National 15cm x 7.5cm flag sticker for internal or external use. 10 x Angola National Paper hand waving flags 21x12cm with stick. 5' x 3' Angola National lightweight polyester novelty flag with brass eyelets. 1 x Anguilla National polyester table flag with chrome pin and base. 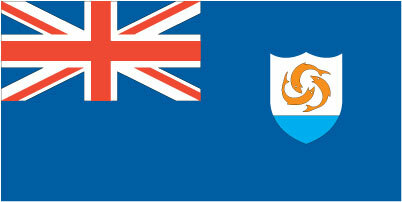 1 x Anguilla National 15cm x 7.5cm flag sticker for internal or external use. 10 x Anguilla National Paper hand waving flags 21x12cm with stick. 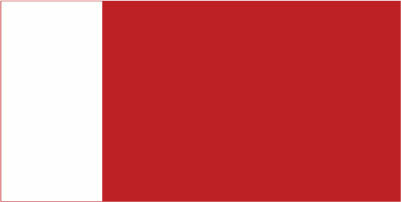 5' x 3' Anguilla National lightweight polyester novelty flag with brass eyelets.